As temperatures get closer to freezing in Pakistan's South Waziristan tribal agency near the border with Afghanistan, some people affected by fighting between government troops and militants have begun to move further from the conflict zone. Some 30-35 families of internally displaced persons (IDPs) from South Waziristan had recently arrived in Majeed Colony in the port city of Karachi where many people originally from North West Frontier Province (NWFP) live, said local residents. Most had moved in with relatives or rented accommodation. 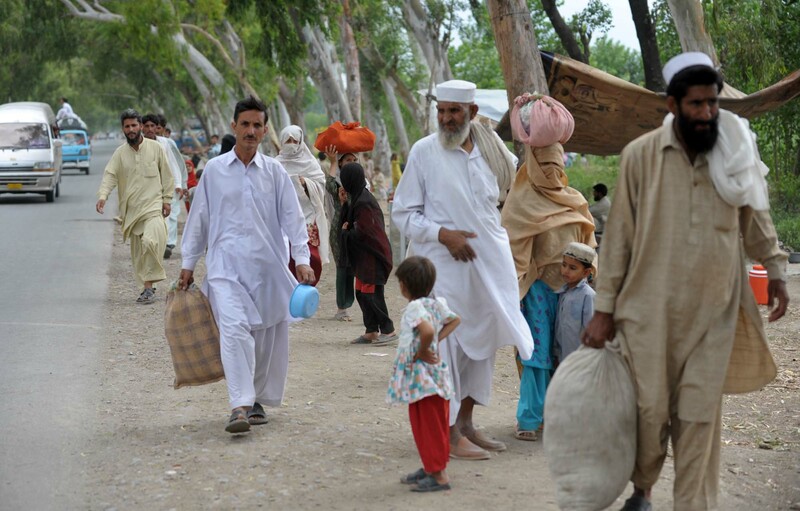 Most IDPs are staying with host families in NWFP's adjacent Dera Ismail Khan and Tank districts and, according to the UN Refugee Agency (UNHCR), 350,000 have now been registered in those areas. Anticipating that they will not be able to return until winter is over, some are heading to larger cities. "There are people going to Bannu and Zhob [in the southwestern province of Balochistan], but as the UN is not on the ground - only our implementing partners - we don't have any more info," Billi Bierling, a public information officer with the UN Office for the Coordination of Humanitarian Affairs (OCHA), told IRIN from Islamabad. The UN earlier this month requested safe access for IDPs from South Waziristan. The authorities have denied this to international humanitarian agencies citing security concerns in the area. However, through its implementing partners UNHCR started the distribution of some 35,000 tents to IDPs in Dera Ismail Khan and Tank districts last week. Meanwhile, those in big cities are trying to fend for themselves. "We need to find work to support ourselves. Karachi is a large city and perhaps we can earn a livelihood here till it is safe to go back to our homes," Alam Khan Mehsud, 30, an IDP from South Waziristan, told IRIN. He is currently looking for work as a labourer, after which he hopes to enrol his two sons, aged nine and seven, at school. His cousin, Farooq Khan Mehsud, who travelled to Karachi with Alam Khan, said: "Rented rooms may also be cheaper here than in Dera Ismail Khan. The cost of accommodation has soared there, and we were paying nearly Rs 2,000 [US$24] a week for a two-room flat." The journey took the families over a week. While a bus trip from Dera Ismail Khan to Karachi, a distance of over 1,000km, would normally take 24 hours by road, Farooq Khan said: "We had 22 people in our group, and the fare was expensive - so in some places we walked and ate whatever we could find, either anything growing by the roadside or in cheap cafes." Alam Khan explained another reason for the decision to move on: "Our tribe is Mehsud. Members of rival tribes have also moved there [Dera Ismail Khan] and we wanted to avoid any clash." Some IDPs have moved to other cities. "I have two families now living with my chauffeur, who is from South Waziristan. I have allowed them to place beds in the courtyard of my house because these people have nowhere else to go," said Rehan Ahmed, a businessman based in Rawalpindi, Punjab Province. Some of the IDPs, including Shahzeb Wazir, 40, now in Rawalpindi with his family, said: "Work for us is not hard to find. Due to the terrorist threat many people are hiring security guards, and because many of us can use guns we can earn a living this way until we are able to go home."